PT Kalbe Farma Tbk - Kalbe or referred to as "Kalbe Group" is a reputable and reliable public-listed company in Indonesia, running business in the field of pharmaceutical industry. Kalbe Group is recognized as the largest pharmaceutical company in Indonesia and South East Asia Region with total sales turnover of Rp17.4 trillion and maintains market capitalization of Rp85.8 trillion as at the end of 2014. Kalbe Group is based in Jakarta and runs its business through its 4 business pillars, namely prescription pharmaceutical division, consumer health division, nutrition division, and distribution & logistics division. 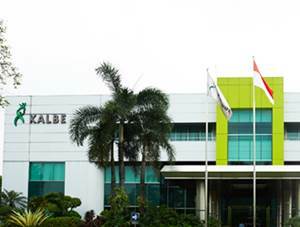 Kalbe Group now supported by 2 Regional Distribution Centers, and 70 branches spread throughout Indonesia. Kalbe Group was formed in 1966 and initially established as a garage-operated pharmaceutical business. In 1991, Kalbe Group conducted its initial public offering (IPO) on the Stock Exchange and its shares are registered under stock code KLBF. Currently, the majority of Kalbe Group’s shares are owned by PT Gira Sole Prima (10.17%), PT Santa Seha Sanadi (9.71%), PT Diptanala Bahana (9.49%), PT Lucasta Murni Cemerlang (9.47%), PT Ladang Ira Panen (9.21%), PT Bina Arta Charisma (8.63%), B. R. Irawati Setiady (0.01%) and the remaining is held by the public (43.31%). The financial performance of Kalbe Group in 2014 showed a good improvement. According to PT Kalbe Farma Tbk Annual Report 2014 as cited by JobsCDC.com, Kalbe Group managed to record total comprehensive income of Rp2,129 billion in 2014. This reflected an 6.23% increase from Rp2,004 billion in the previous year. Fluent in English with minimal TOEFL Score 500. Highly adaptable and willing to be placed in Cikarang. JobsCDC.com now available on android device. Download now on Google Play here. Please be aware of recruitment fraud. The entire stage of this selection process is free of charge. PT Kalbe Farma Tbk - Recruitment Fresh Graduate Biotech Engineers Kalbe June 2016 will never ask for fees or upfront payments for any purposes during the recruitment process such as transportation and accommodation.